The Round Seat pair are good parents, in 2014 & 2015 they have ended up with 3 Cygnets which have grown to maturity. Although in 2015 at 10 months old 1 of the Cygnets died, it was a real shame and we did what we could for her but to no avail. (that is another story which I choose not to go into). 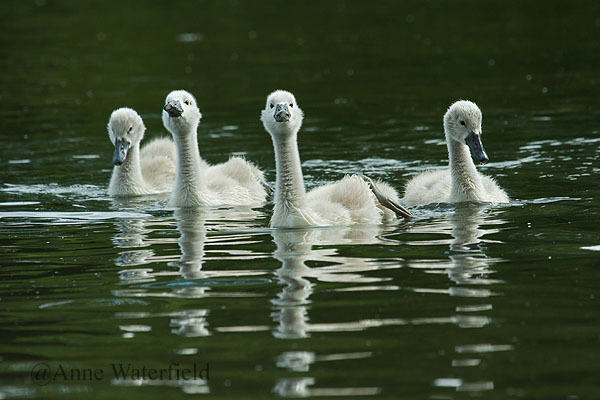 The Cygnets of 2015, 3 remain and at 7 months old look all grown up.